A film project launched by a small band of dedicated teachers is giving young children an opportunity to create, participate in - and even lead - film projects. The Film By The Sea (FBTS) program – currently in its sixth year – is spreading far and wide – and inspiring students’ creativity in a significant way. In 2014, FBTS launched a high school component, attracting schools from all over NSW in a major festival culminating in 107 movies being submitted for judging. The program later expanded to include a primary school component – and so far it has given rise to some inspiring work by young students eager to try their hand at acting, screenwriting and even directing. 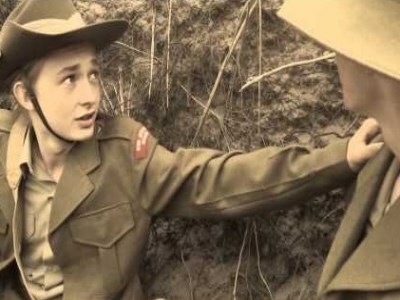 Last year, Miranda Public School students created a short ANZAC tribute film called ‘Jack and Tom’, which follows the lives of two boys who grow up together in the early 1900s and who find themselves fighting alongside one another in the trenches during the First World War. This year, Miranda Public School led a collaboration of students from several schools, putting together a tribute for ANZAC Day 2016 – another short film called ‘A parcel from my sister Kate’. The story – a parallel film to ‘Jack and Tom’ – depicts the journey of young women in Australia leading up to and during World War One. The film is based on the true story of a girl who lived in Newcastle and tried to enlist in the First World War three times. “It [the film] looks at women’s responsibilities during that time, as well as the grief they went through when their loved ones went away to war,” Miranda Public School principal, Glen Carter, told The Educator. The participating students came mostly from Miranda Public School and Port Hacking High School, but also involved students from Sutherland and Caringbah. Carter said having the iconic Australian actor Bryan Brown – who played an enlisting officer in ‘A parcel for my sister Kate’ – on board was an inspiration. He added that despite having limited resources, the ideas and passion involved in the projects often produces “amazing work”. “We make these movies to show what you can do with a decent script, a camera and a group of committed children,” he said. Carter added that FBTS has been a major highlight of his career as principal. “I’ve been a principal for 19 years and this is by far the best project I’ve ever been involved in,” he said. Carter said the FBTS festivals have encouraged schools to start working in digital literacy and upskill their teachers. “These festivals have proven to be a very powerful tool in achieving this,” Carter said.